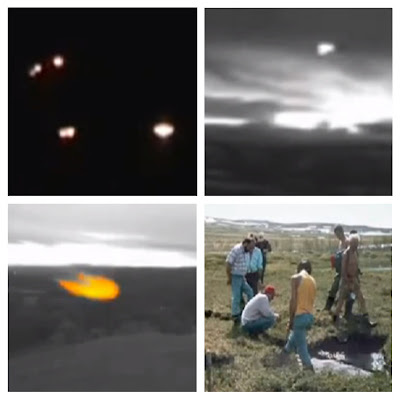 UFO SIGHTINGS DAILY: Mysterious Glowing UFOs Over Hessdalen, Norway Still Amaze People Every Month. Mysterious Glowing UFOs Over Hessdalen, Norway Still Amaze People Every Month. Unusual lights have been reported here since 1940s or earlier. Especially high activity of Hessdalen lights took place from December 1981 until the summer of 1984 when lights were observed 15 to 20 times per week. The frequency of the lights caused a gathering of numerous tourists staying there overnight to see the phenomenon. Since then, the activity has decreased and now the lights are observed some 10 - 20 times per year.